Sign-up using the form or call us at (419) 473-2818 to make your appointment. Welcome to Dr. W. P. Grady! Are you experiencing a painful complaint that appeared for no apparent reason? Are you continuing to suffer from and injury after an auto accident, sports injury, slip and fall or surgery? Have you received care from a medical doctor, physical therapist or Chiropractor and your complaint continues to persist? As a Chiropractor, Dr. Grady is trained in spinal and extremity manipulation but is also certified in Applied Kinesiology and has been in practice for some 25 years. Care provided at this office consists of essentially determining the location of the spinal or extremity joint derangement and then delivering corrective manual manipulation to the joint. Then and this is the unique aspect, muscle testing is performed throughout the area of complaint to determine which supporting muscles are not stabilizing the affected joint area. Applied Kinesiological muscle strengthening is then delivered to these weak muscles. 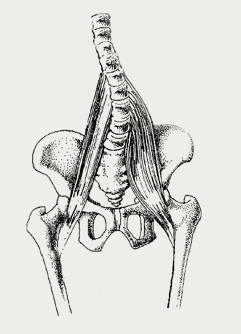 To illustrate one can clearly see in the anatomical illustration, the lumbar spine is in derangement and the two stabilizing psoas muscles are also in a state of imbalance. 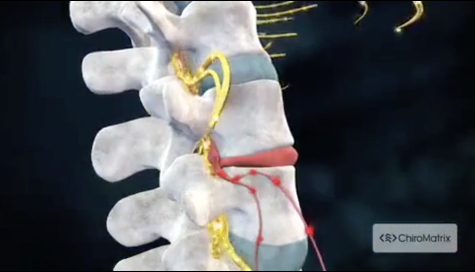 Corrective spinal manipulation is delivered to the deranged vertebrae at all Chiropractic offices but in addition to this corrective manipulation, treatment at Dr. Grady’s office includes correction to the muscular imbalance. One can easily appreciate how much faster a painful musculoskeletal derangement can be corrected and stabilized to prevent reoccurring problems. Very few Chiropractors are trained in this affective technique. In your first treatment you will be evaluated and experience the difference. Athletes (football, basketball, wrestling, tennis soccer, volleyball, boxers, martial arts, cage fighters ect.) are all welcome.